One of my all-time favorite books is “Miracle At Philadelphia,” Catherine Drinker Bowen’s excellent recounting of the September, 1787 convention that produced our American constitution. I always think of that around the Fourth of July, the most widely-celebrated observance of our nationhood. We wave flags, set off fireworks, play patriotic music, eat barbecue, visit with friends and family. But do we take a moment to remember Ben Franklin’s sobering words? A republic, if you can keep it. They echo through America’s history, reminding us that the hard-gotten price of keeping our republic is a daily, ongoing thing. A republic works, only if we participate – learn, think, debate, vote. Sometimes, I wonder. When the barbecue and fireworks are done, we too often go blithely on our way, forgetting that the business of governing ourselves is unceasing. The best example: the woefully-small voter turnouts on our election days. I’m too busy; my one little vote doesn’t matter; they’re all rascals, so why bother? But the real work is in getting ready to vote. Too often, we fail to be informed about the issues and people in our civic lives and engage in lively discourse and debate. Our opinions should be well-reasoned, and they do count – but only if we voice them and act on them. I’ve thought a lot about this as I’ve worked on my new novel, The Governor’s Lady, due in September. It’s a story about relationships – mother and daughter, husband and wife – set against a backdrop of politics. It’s about how people seek to govern, how they relate to the governed, how politics brings out the best and worst in people. When politicians become isolated, when they start to think they’re bulletproof, that’s when the worst comes out. We bring out the best in our elected officials when we pay attention and insist they do their best. 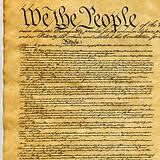 That document the folks in Philadelphia gave us 226 years ago is an ingenious blueprint for a democratic republic. When the system works, it’s the best and most-envied form of government on earth, a system that helps give us life, liberty, and the pursuit of happiness. But we have to make it work – with our involvement, our participation, and sometimes our blood, sweat and tears -- if we want to keep it vigorous and fresh. If we want to govern ourselves. Ben Franklin had it right. Robert Inman’s novels are available on Amazon Kindle, Barnes & Noble Nook, and Kobo e-readers.